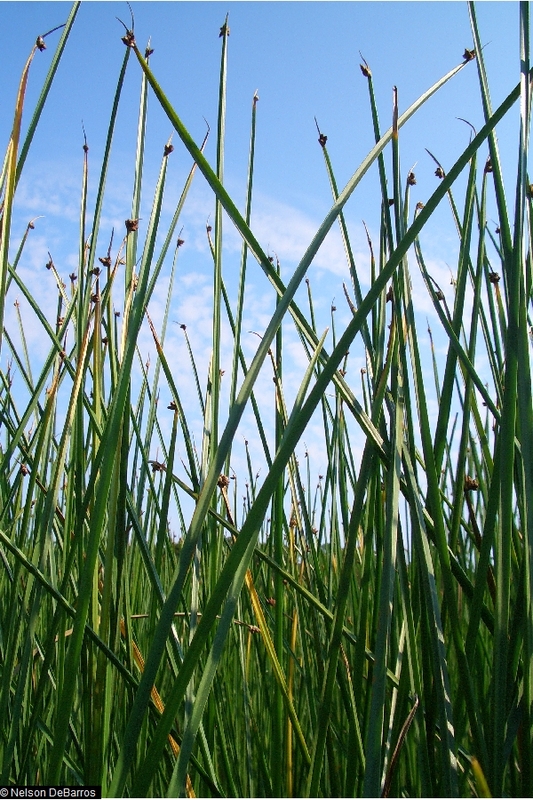 Schoenoplectus americanus.Nelson DeBarros @ USDA-NRCS PLANTS Database (Accessed 5/2014). 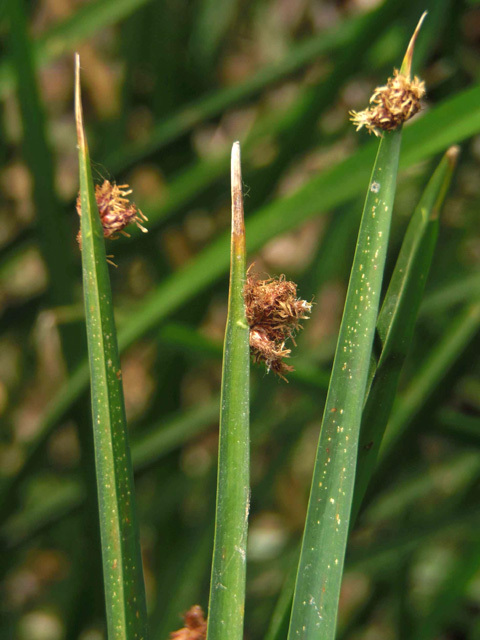 Schoenoplectus americanus is a C3, perennial rush(Kresovich et al. 1982) to 2 m tall, colonial from rhizomes, stem sharply 3-angled, stout, to 1 cm near base, with concave sides, dark slightly blue-green. Leaves few, blade less than 10 cm long, to 1 cm wide. Flower spikelets 2-15, sessile, in dense cluster, brown, appearing to arise from side of stem; inflorescence bract solitary erect 1-4 cm, appearing as a continuation of stem, no empty scales at base of inflorescence; blooms and fruits July-Sept. (Hough 1983). Schoenoplectus americanus.© Ron Vanderhoff.Natural History of Orange County.nathistoc.bio.icu.edu (Accessed 3/2017). Habitat: Open areas with saturated soil or shallow water, pond edges, wet ditches, freshwater marshes.